Sunny for spring and autumn sowings, light-shade for summer sowings. Nasturtium, Lettuce, Peas and Mangetout. Sow direct into the ground, protecting with a cloche if cold weather is expected. A really good crop for growing inbetween others, especially as it grows to maturity so quickly. 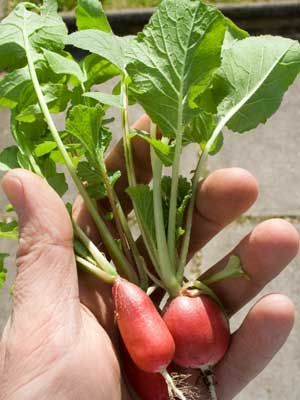 Harvest as soon as the root has developped to a usable size, while taste and texture are still good.